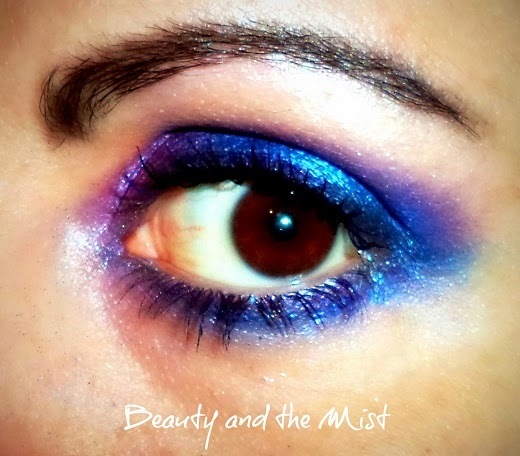 I wanted to use these eyeshadows before I started the giveaway where you can win this Glazzi palette, but I hadn’t managed then and I was worried what these eyeshadows were like. I am lucky because I think the winner won’t be disappointed by the gift. As you can see the palette includes 120 shimmery shades and there are so many colours that it’s easy to make different combinations. 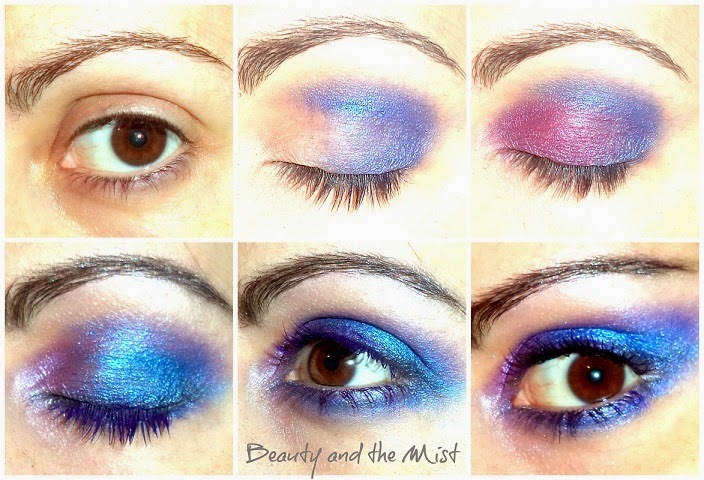 For this eye make up look I used blue and purple eyeshadows from the middle of the palette. I found it more convenient to apply them with brushes and although I thought all the colours looked shimmery, the shade that I used on my eyebrows had a matte effect. 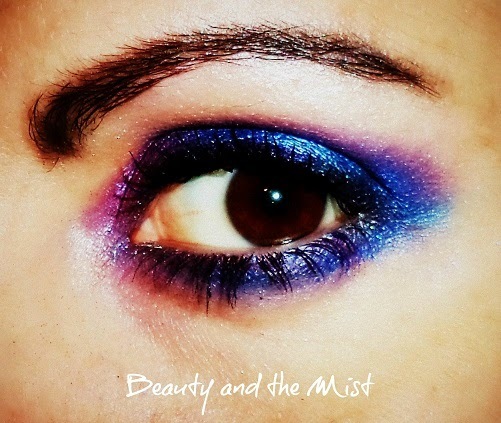 I didn’t use an eye pencil, I finished the look with a purple mascara which I replaced later with a black one for a more intense result. I didn’t expect this palette to be so good. There was only little fallout of one of the shades and the colours lasted until I removed them. Before I took my make up off I noticed they creased a little bit, that was only obvious when I closed my eyes. All in all, I think this palette is a bargain and I’m glad I got one for me and one for one of you. Below you can see the purple mascara I mentioned. If you follow me on facebook and instagram, you have already seen it. A few months ago I won a mua lipstick shade 15 juicy and Renata also sent me a purple sixteen mascara.